Can you believe those Cubbies! I'm still in shock! They need just four more wins and they will be World Champs. Oh we are so hoping they make it. 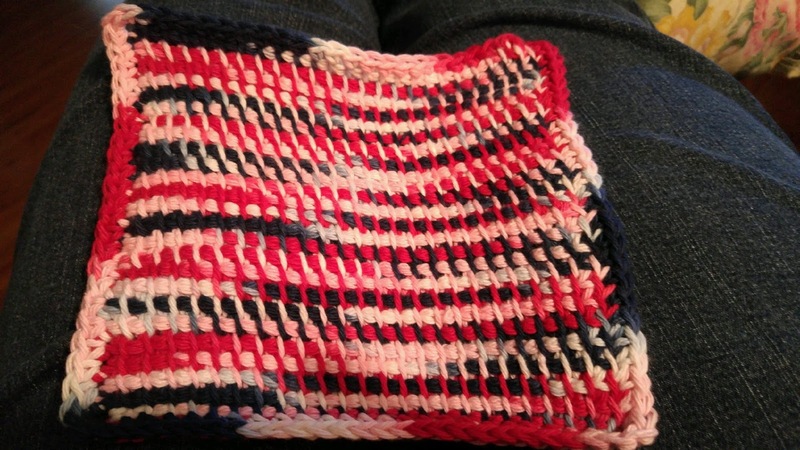 Still crocheting dish cloths. Here's the latest one. 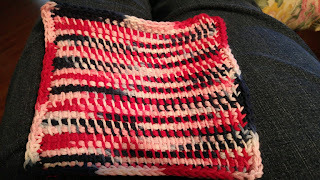 It was in red, white, and blue yarn. I met Marla in Fairview over the weekend and we did a little shopping and had lunch. Had a real nice time. I bought this yarn at Joann's while I was there. The price on the cone of yarn was almost twice as much as my local Wal Mart wants for it, however they did have many more colors. I guess they do that because they have those coupon sales all the time.